Growing up I had no shortage of hearty Mexican soups thanks to my mom. I had my favorites like menudo and pozole, and when I conjure these memories I always think of my mama. 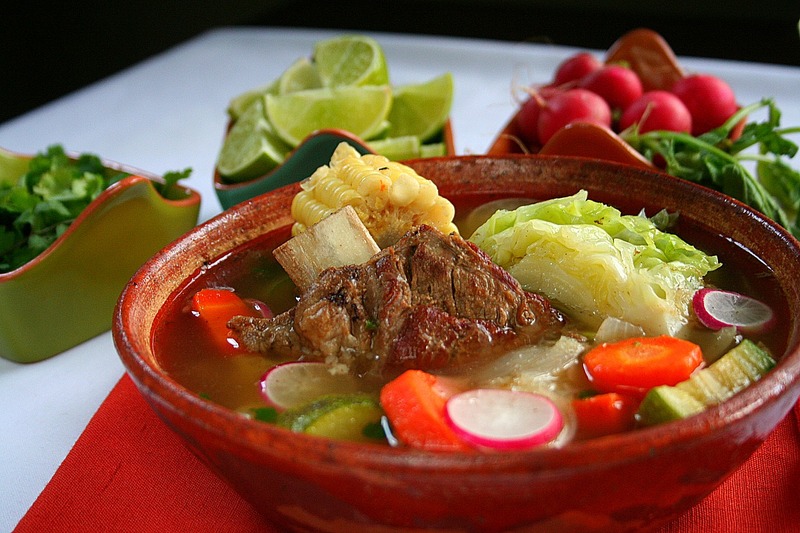 But with caldo de res, or beef soup, I always think of my dad. It is not because he cooked it for us, but because of the way he ate it: with lots of lime, rolled corn tortillas and a wide grin. He would place the corn tortilla in the palm of his left hand and roll it with his right hand by rubbing the two together. It was like magic to a hungry little boy. Well my pops has not been feeling well, and while we expect him to make a full recovery, I can’t help but miss him. 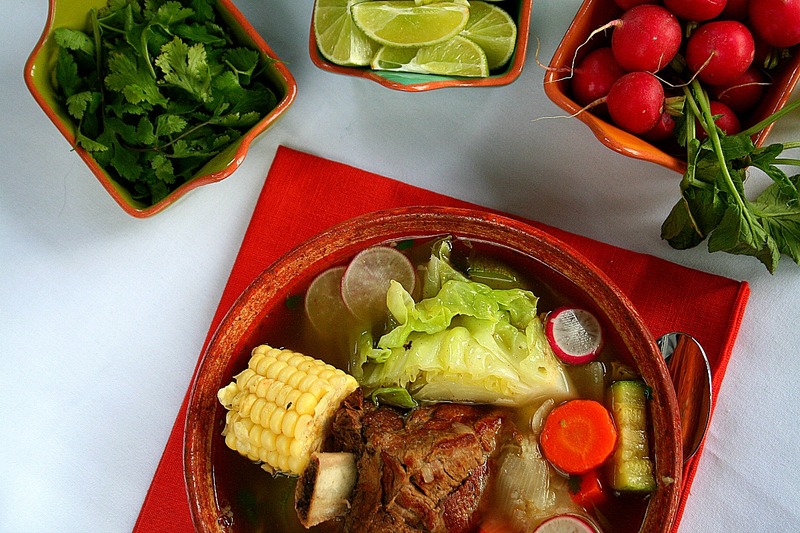 This Caldo de Res is for my papa in Colorado. May he get well soon. 1. In a large heavy soup pot, heat the oil over medium-high heat. Once the oil is hot, brown the meat. To prevent the meat from steaming, pat the meat dry with a paper towel before adding to the pot and brown the meat in batches. 2. Remove the meat and reserve. Over medium heat, add the onion and allow to sweat for about 3 minutes. Then add the garlic and serranos. Stir often. Drizzle in more oil as needed to prevent the garlic from burning. 3. Add the broth and return the meat to the pot. Add the water until the pot is about 2/3 full. Bring to a boil over high heat, which will take about 8-10 minutes for a pot this size. 4. Reduce to a simmer. Place the lid on the pot but leave it uncovered just a little bit. Cook for about 90 minutes, or until the meat is tender. 5. Once the meat is tender, add the corn and carrots and cook at a simmer for about 10 minutes. 6. Add the potatoes and squash and cook for about 10 minutes. 7. Add more broth/water as needed to keep the pot 2/3 full. Adjust the seasoning. 8. Add the cabbage and cilantro and cook for another 10 minutes. 9. Serve with wedges of lime, sliced radishes and warm corn tortillas. Thinking of you and your dad. Nice post. Wishing him and your family well. This warms the soul! Simplicity at it’s finest. Thank you for posting & hope all turned out well!